The Look is ready to find some NEW LOCAL FEMALE AND MALE MODELS (ages 21 and up only) for our consistent fashion shows. For 36 years now The Look as been putting on events around the state of Alaska and are looking to expand their roster of local talent! 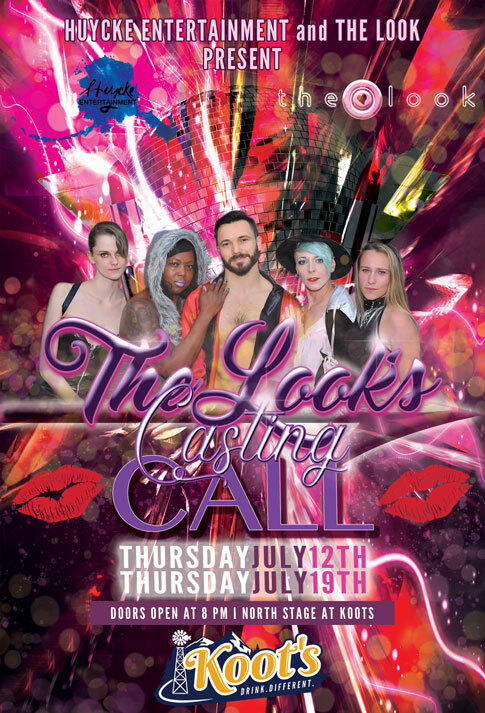 Our casting call will go accordingly – interested individuals must submit a photo of themselves to this “The Look's Casting Call 2018” event page. The Look will contact 20 individuals to schedule their audition. The auditions will take place at Koot's for 2 back-to-back Thursdays in July. There will be 10 individuals auditioning per week. The audition will consist of each individual modelling 3 outfits – 1 cocktail/evening dress (self provided), 1 lingerie outfit (self provided), and 1 outfit from The Look (provided by The Look). Each week will be hosted by the owner of The Look – Jill Williams and Darrin Huycke. There will be 3 judges each week as well – a representative from The Look, a current The Look model, & representative from VivaVoom Brr-Lesque. The judges will decide who the top female and male models of the week are and the winners will receive a guaranteed contract for a show produced by The Look along with a $50 gift card to The Look or Hole Look. Brought to you by: The Look, The Hole Look, Koot's, and Huycke Entertainment.